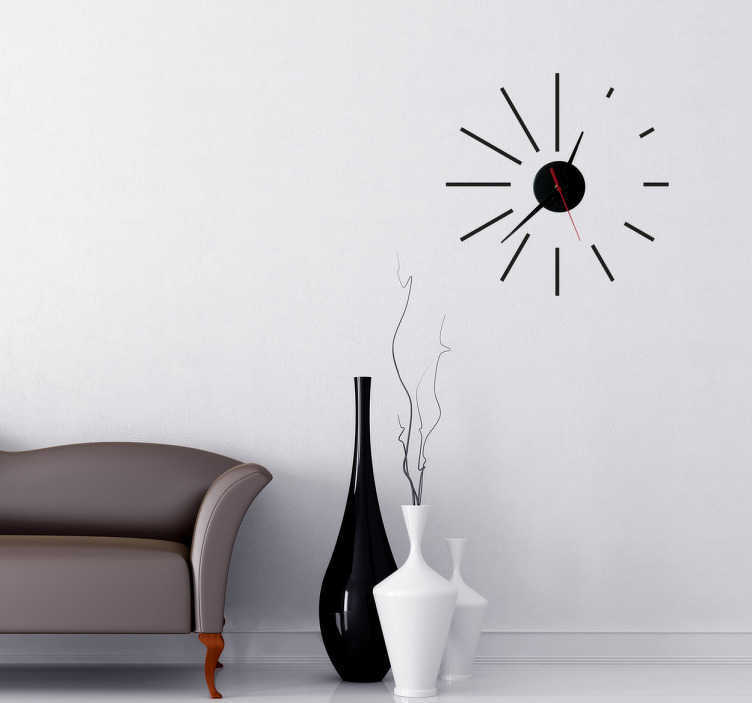 A modern clock wall sticker from our collection of modern wall stickers with lines of different sizes to define the passing hours. Looking for something else than just a sticker? If yes, then this clock sticker is ideal to give your home the atmosphere you desire. Give your home a modern touch of originality with this vinyl decal illustrating a spiral. This modern spiral clock design is super easy to apply and remove. Clock mechanism included. Available in various colours.